Drunk History Vol. 6: Featuring John C. Reilly Watch the amazing story of Nikola Tesla (John C. Reilly); the father of Western Technology, who sailed to America to …... Comedians get drunk and teach us about history. Tonight Rob Beckett on Henry VIII, Kerry Howard talks Queen Victoria & Prince Albert, and James Acaster on The Black Death. 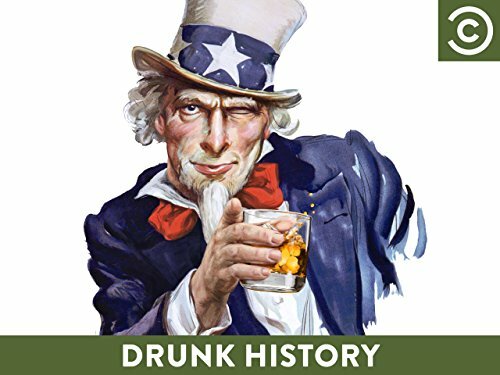 Drunk History is a TV show on Australian national television from SBS 2 with an average rating of 3.2 stars by TVCatchUpAustralia.com's visitors. Comedians get drunk and teach us about history. Tonight Rob Beckett on Henry VIII, Kerry Howard talks Queen Victoria & Prince Albert, and James Acaster on The Black Death. An inebriated narrator struggles to recount an event from American history, while actors enact the narrator's anecdotes and also lip sync the dialogue.